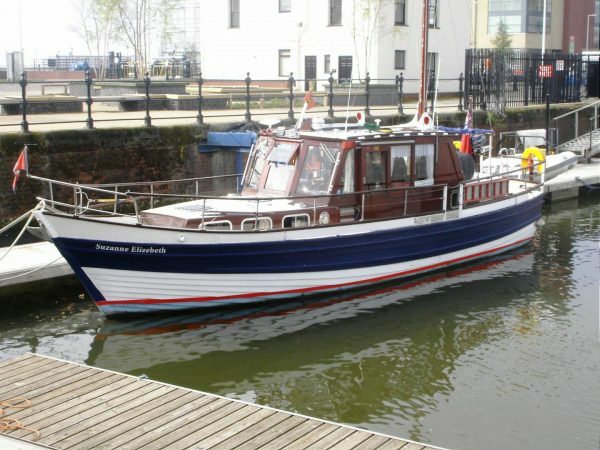 Suzanne Elizebeth was built in 1973 by Smith Brothers of Goole to a traditional Scoresby motor-sailer design which originated from the Whitehall Shipyard, Whitby, North Yorkshire. 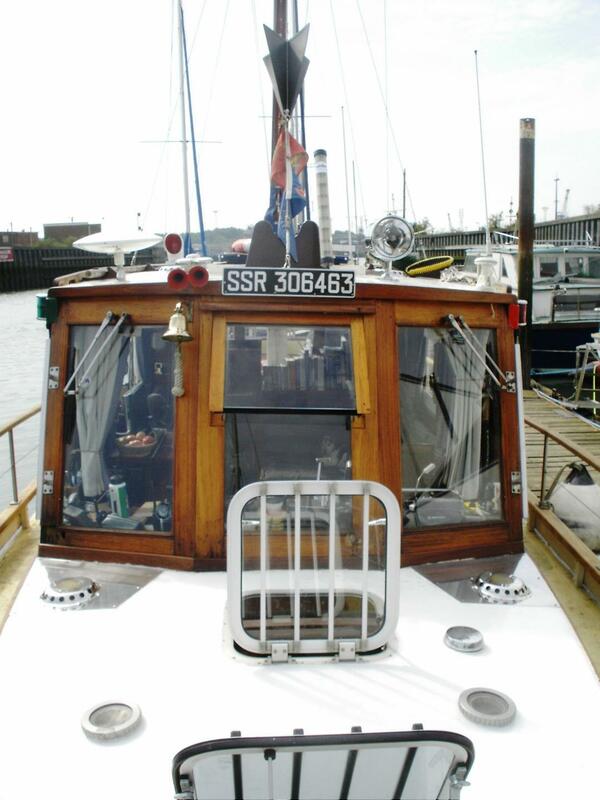 Registered in Goole her owner during the 1970′ and 1980’s was Michael Clarkson of Castle Dairy Farm in Renhold who stationed Suzanne Elizebeth in West Mersea, Essex. 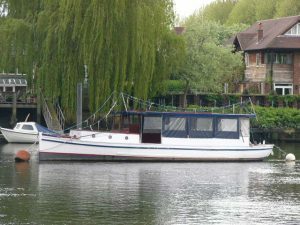 During the 1990’s under new ownership she was moored at Goring on the River Thames and was a familiar sight at the many Henley Rallies. The current owner have based Susanne Elizebeth on the East Coast and have cruised extensively from their Ipswich mooring. 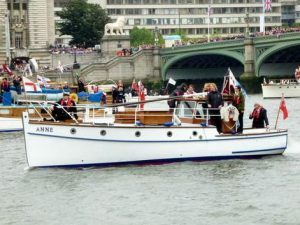 Suzanne Elizabeth is of clinker larch construction on oak, with the inherent strength of lapstrake, giving buoyancy and sea-kindly qualities. 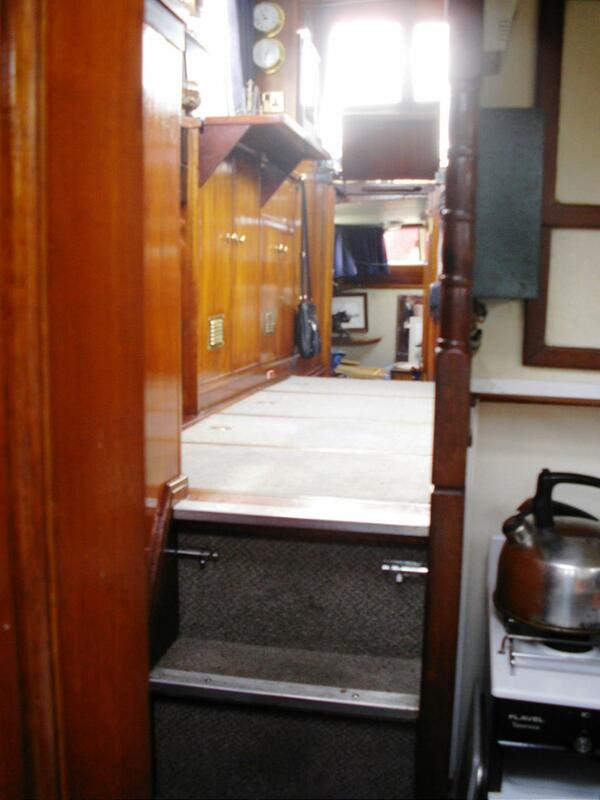 Raked stem, transom stern, long straight keel with bilge keels. 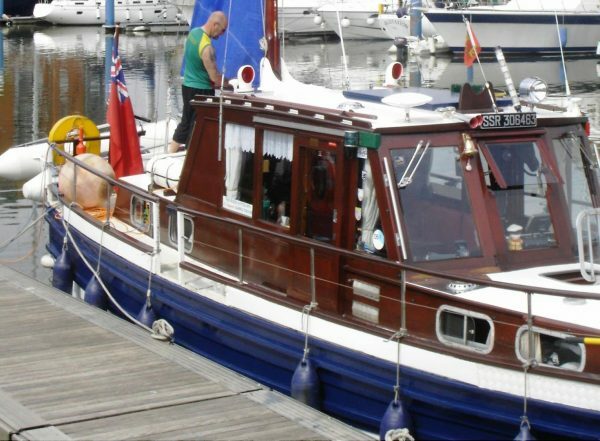 Marine ply decks GRP sheathed, varnished mahogany superstructure and brightwork. 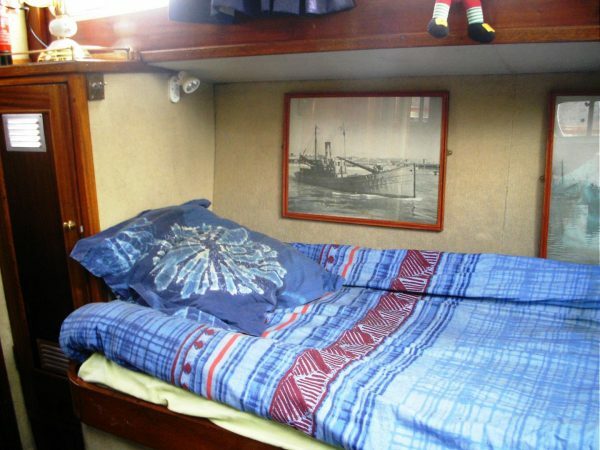 Accommodation for six in three cabins. 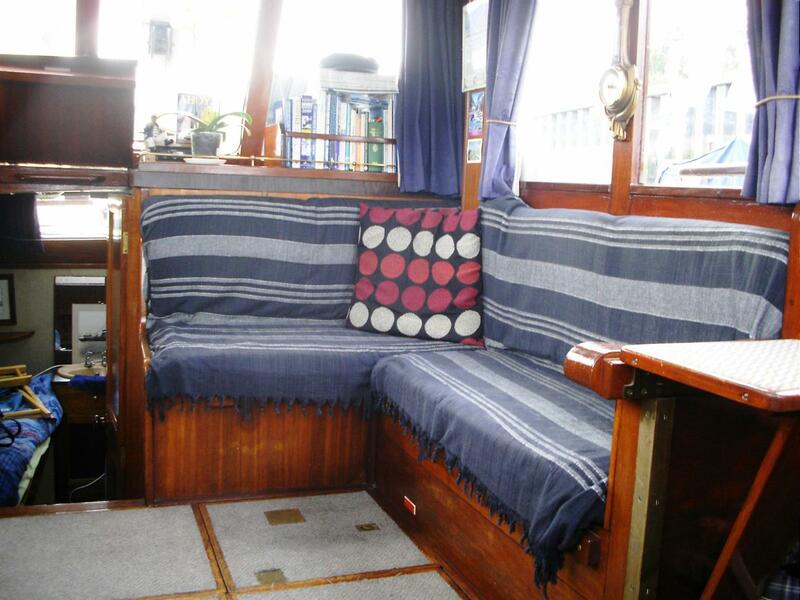 Double berth / settee, gas and electric heaters, varnished timber sole with carpet. 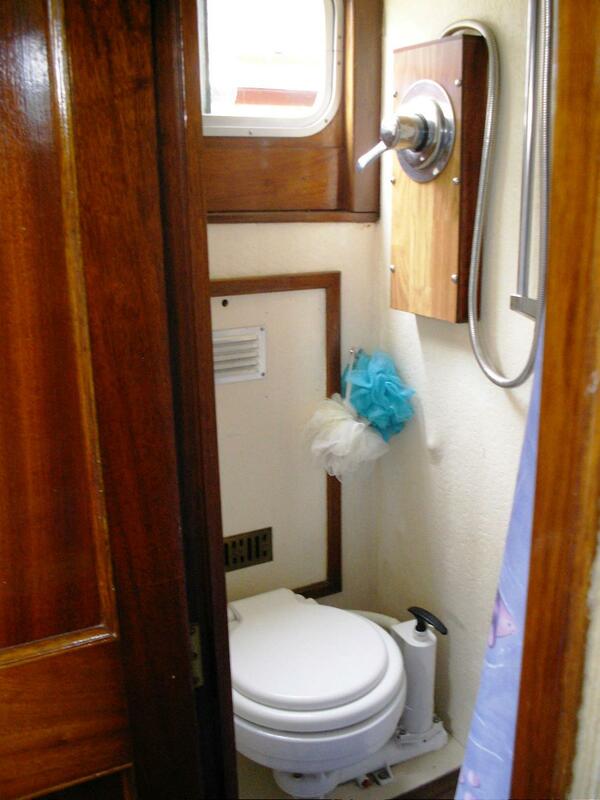 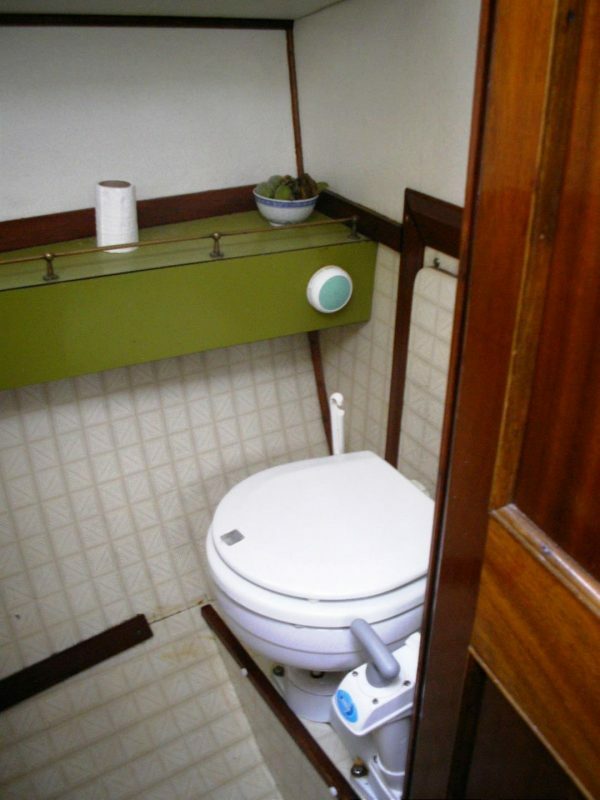 Two single berths, vanitory unit with inset washbasin pressurised water, H & C, ensuite shower and Jabsco wc. 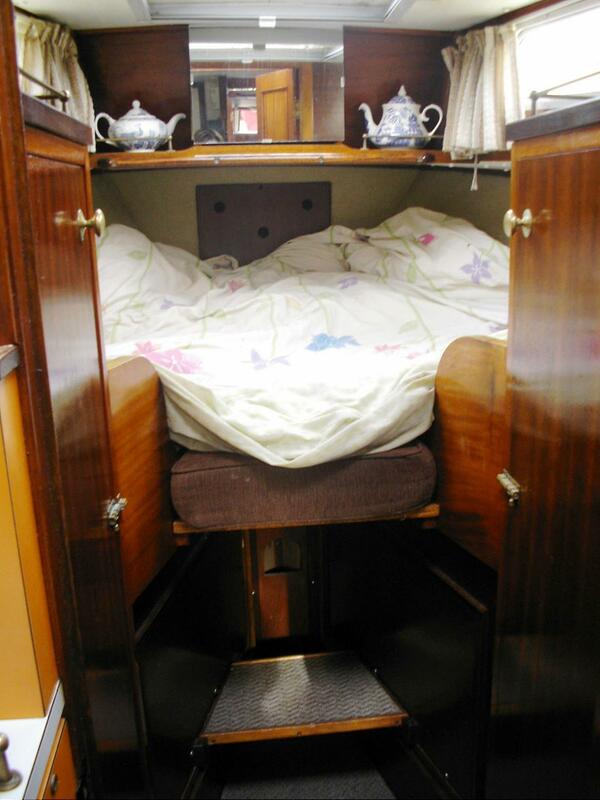 Double berth, built in lockers. 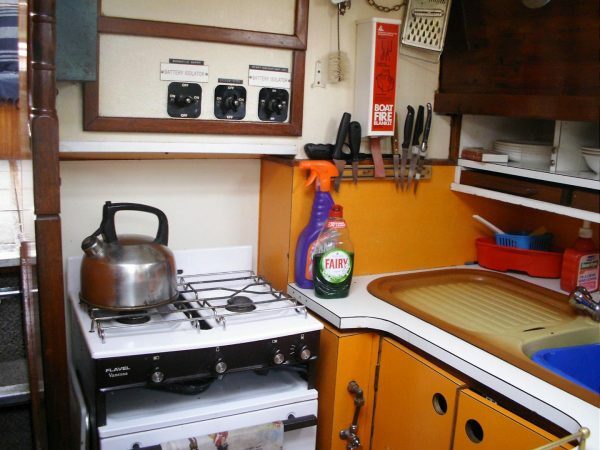 Two burner gas hob with oven, 12/240/gas fridge, microwave, sink with H&C water, pantry and crockery lockers, fire blanket and extinguisher, 200 gallons fresh water capacity. 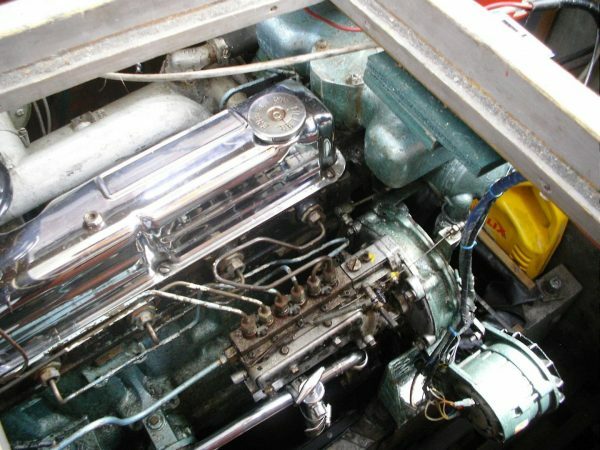 120hp Ford 6 cylinder diesel installed new in 1973, serviced in 2010. 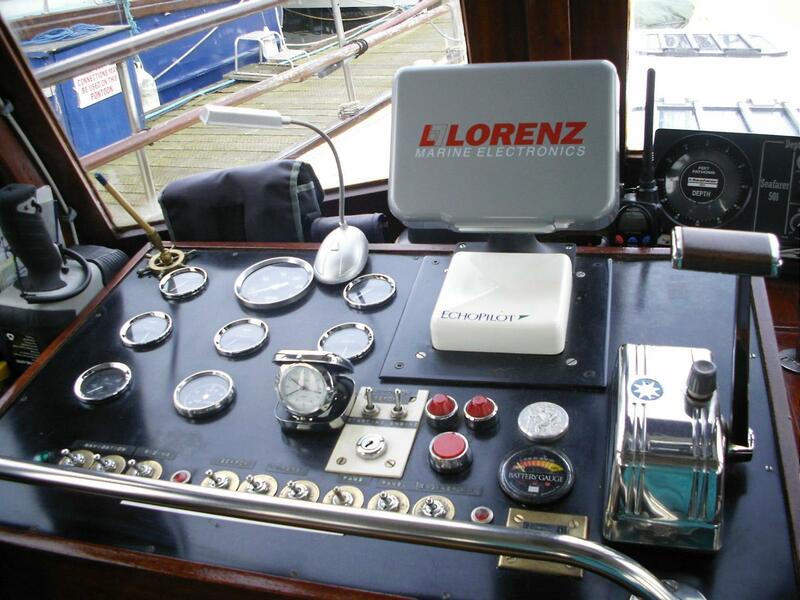 Cruising speed 10 knots, maximum about 14 knots. Two fuel tanks, total capacity 300 gallons. 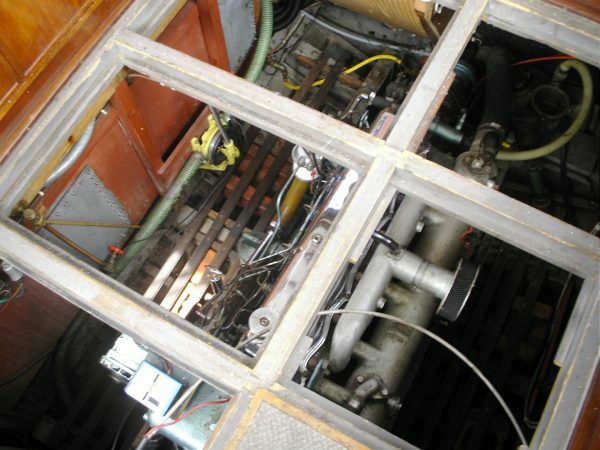 Shaft driven propeller. 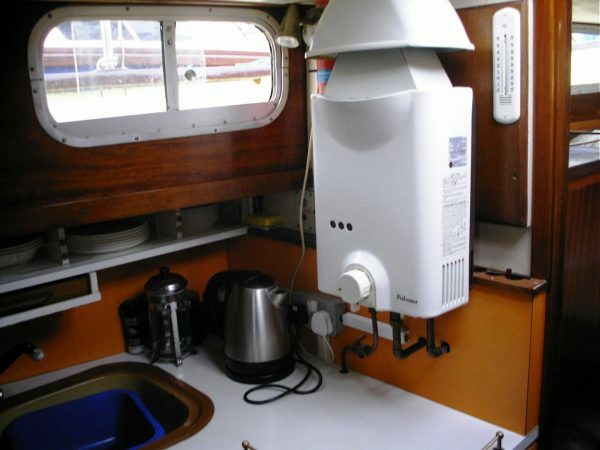 Three 1000A batteries (2010) shore power and Honda generator. 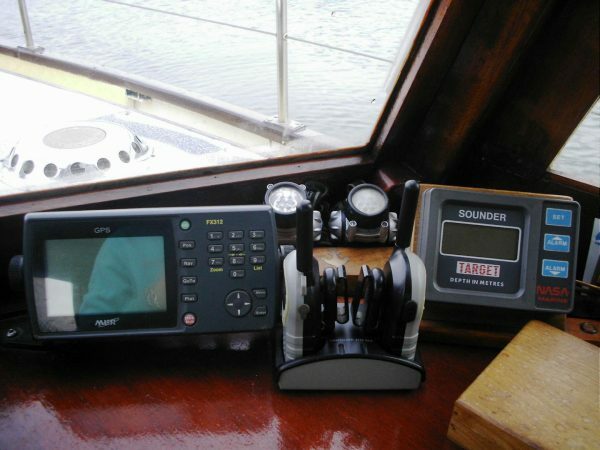 Simrad VHF and Midland hand held VHF, MLR GPS, Lorenz Chart Plotter, Echo Sounder, Auto Pilot, Two Compasses, Seafarer Sounder, various English coastal charts. 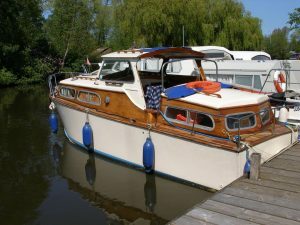 Electric windlass, bower anchor, winter covers, bathing platform and ladder, three bilge pumps, various fenders, four life jackets, flares, Arimar tender with Yamaha 2hp OB motor, six man liferaft last serviced 2000. 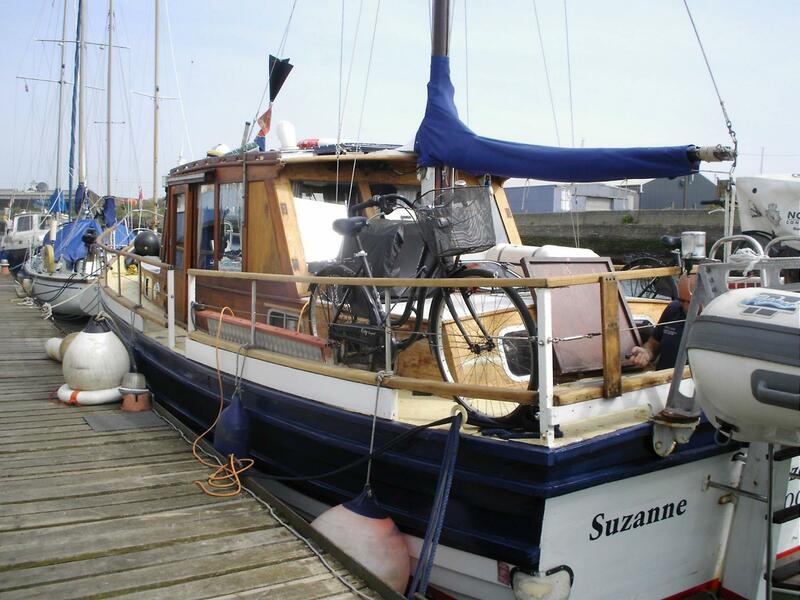 Classic Yacht Brokerage have know Suzanne Elizebeth for many years having listed her for a previous owner in 2001. 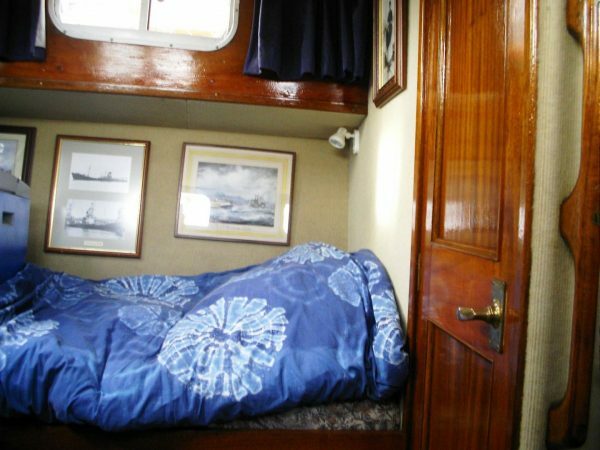 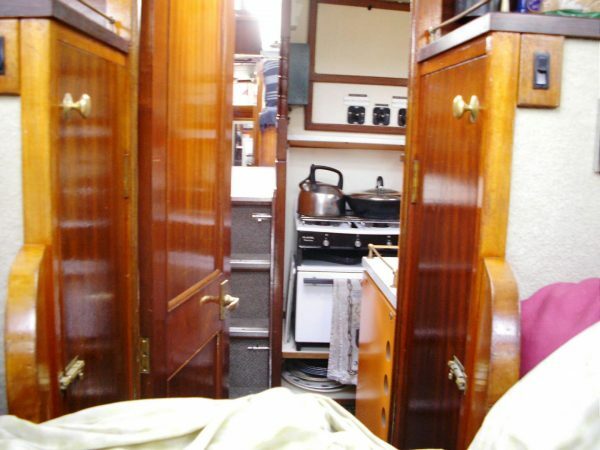 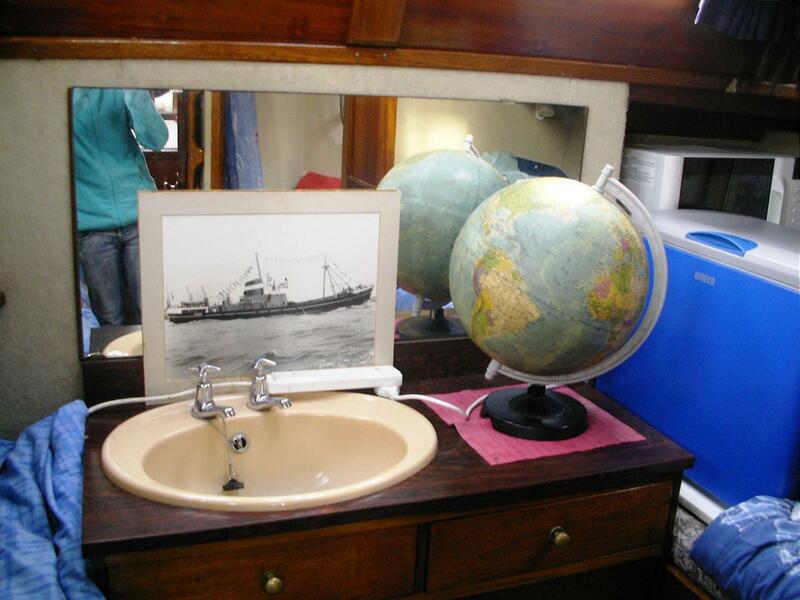 She has always been well maintain and is robustly built, ideal for long distance cruising or extended living aboard. 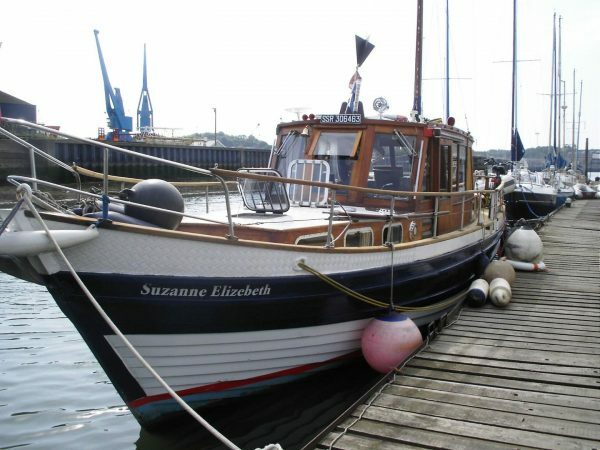 The current owners make regular Channel crossings from their East Coast base, proving Suzanne Elizebeth to be a sea-kindly and capable vessel with respectable passage times.